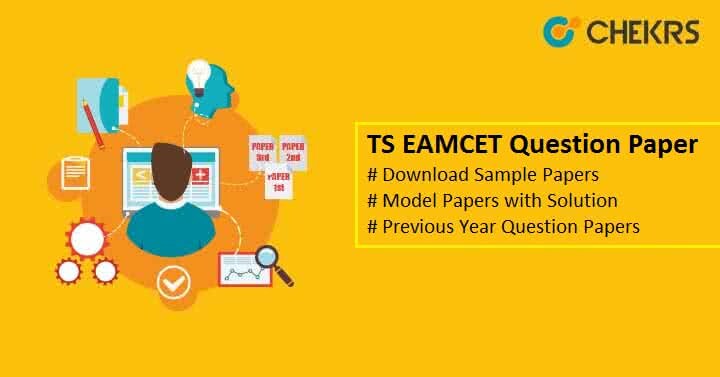 TS EAMCET Question Paper Pdf: Some Statics of the exam states that more than 2lakh candidates do registration for the TS EAMCET every year. It is a State Entrance exam which is organized by JNTU Hyderabad on the behalf of TSCHE. It provides admission into various UG Professional Courses. The TS EAMCET is best known for providing the gateway to get admission in Engineering and agriculture courses. Due to its importance, we are trying to provide you some Preparation related help, with some TS EAMCET Previous Year Question Papers and Mock test. Hope you will like it. The Exam authority provides TS EAMCET Previous Year Question Paper through the official website after the exam so we have found some of the TS EAMCET Papers and listing all of them in the below table. Download the paper according to your need and stream and start solving them. So After the TS EAMCET Sample Paper/question Papers the official website also has some Easter Eggs for all their candidates. It also provides the chance to experience the real looking TS EAMCET Mock Test for all the interested candidates. You just need to follow the below steps to access the available mock tests. Visit Official Website ie. www.eamcet.tsche.ac.in/TSEAMCET. Now select the mock test as per your preference, Either Engineering Stream or Agriculture & Medical Stream. Here you need to click on Sign in. After it you can appear in the TS EAMCET Mock Test. All the interested candidates can download their Admit card easily using the methods we are providing the article. TS EAMCET Admit Card.